Welcome to 'Smash Gym' the hot-new action/boxing/training/simulation game for your Windows Phone! You are a UFC fighter that has to hit the gym and train for your next fight! 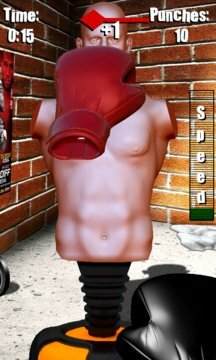 Use the punch-dummy to see how many accurate punches you can land within 1 minute! Use your finger to throw jabs, hooks, and upper-cuts with simple taps and swipes! Each successful punch you land increases your overall punching speed! Missed punches will cause your punching speed to deplete! Reach maximum speed and you will go into BLAZIN-mode, where for a short-amount of time, you will be performing at the highest speed possible; thus, allowing for more punches to be successfully completed in a shorter amount of time! Keep practicing and get better, as you go for the highest ranking score!! 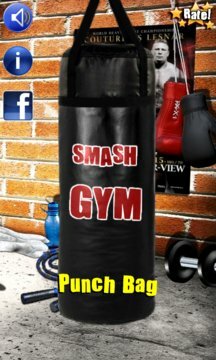 Perfect time-waster for some quick, competitive, punching-action!! Get it now, and let us know if you want more!